Ibn Ibn Jehan 2007 Straight Egyptian colt by Akdar Brins out of Egypts Melody. Currently standing 14.3+ as a 2 year old. Expected to mature approx. 15.2 range. Very fancy boy, has plenty of snort and blow to do halter, but can also work well. Has been shown in Scottsdale 2009, placing Top 10 with Ammy owner/handler in Open class and also showed in Vegas scoring very well overall in a tough class. 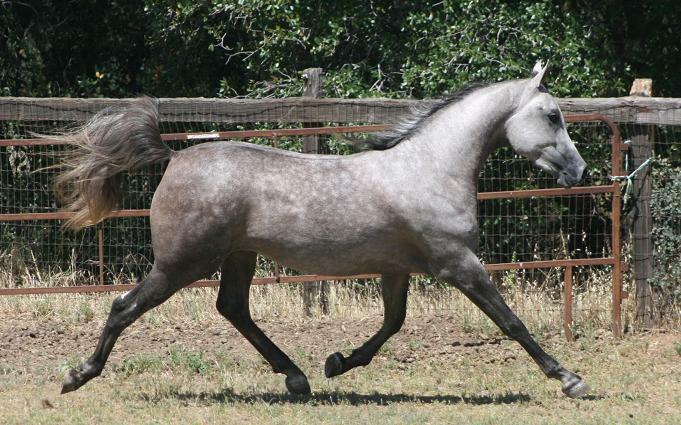 Would make a nice prospect for Hunter Pleasure, Sport Horse and Dressage.